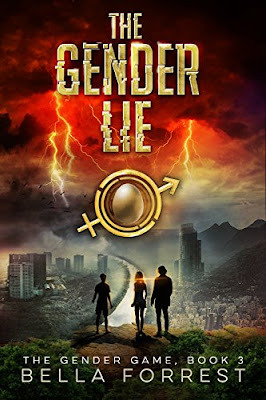 I really enjoyed the first two books of the Gender Game series, so I had high expectations for The Gender Lie. I was pretty disappointed even early on in this book. 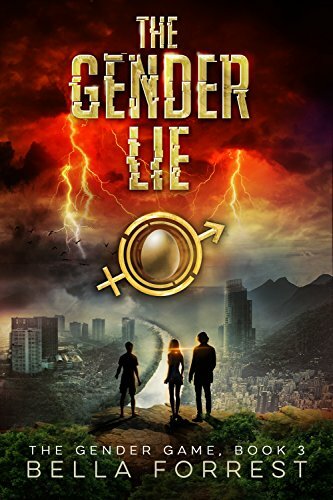 The Gender Lie picks up right where The Gender Secret left off. Viggo is unconscious and needs a magic laser to heal him, while Liberators have taken over the underground facility. Needing their help to get the laser which will cure Viggo, Violet teams up with them on a covert mission. Retrieving the laser is only the first third of the book. After that, the story and pacing fall apart. They discover there's a bomb (!!) and within the next page, they call their tech guy who knows all about bombs and after snipping two wires the threat is over. (mouse over to view spoiler) Then there's another bomb which they have to quickly disarm later in the story, but at that point, Violet is a bomb expert, so no big deal. It becomes a series of events with no forward momentum, giving the reader no real reason to keep reading. I was under the impression that at the end of The Gender Secret, a war between Matrus and Patrus was inevitable, but somehow that's not the case. (?) In the end, there's a big reveal that just doesn't make any sense. Looking back over the events of the story, nothing really lined up with the reveal at the end. There could have been at least a little foreshadowing that something else was going on. A lot of the characters' motivations just don't add up. At this point, I don't really care what happens between Matrus and Patrus, but I do want a conclusion for Viggo and Violet. I'll be picking up The Gender War, but my expectations are much lower going into the next installment.